Commissioned by Tsar Peter the Great (1672-1725) as ‘a window looking into Europe,’ St. Petersburg is a fine city whose elegance is reminiscent of Europe’s most alluring capitals. Little wonder it is the darling of today’s fashion photographers and travel essayists: built on more than a hundred islands in the Neva Delta linked by canals and arched bridges, it was first called the ‘Venice of the North’ by Goethe, and its stately embankments are reminiscent of those in Paris. An Imperial city of golden spires and gilded domes, of pastel palaces and candlelit cathedrals, it is filled with pleasures and tantalizing treasures. Baroque churches overloaded with architectural ornaments have a fairy-tale quality; and the city is rich in fountains, palaces, canals, gardens, and the famous ‘prospects’ running through the city … St. Petersburg reveals a new stage setting at every corner. Two revolutions have occurred there and yet the imprint of the Enlightenment and the magnificence of the Tsars still linger in the atmosphere. It is therefore no wonder that a Choral Festival is organized every year in this magnificent city. Singing World is one of those music events which you have to see or, better still, take part in, at least once in a lifetime. 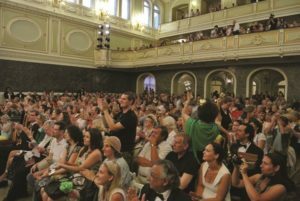 This year the organizers hosted 46 choirs and vocal groups from 15 countries of the world and the total number of the participants amounted to 1500 people. The art of choral singing was demonstrated by groups from Australia, Brazil, China, Finland, France, Germany, Hong-Kong, Israel, Latvia, Poland and Russia. 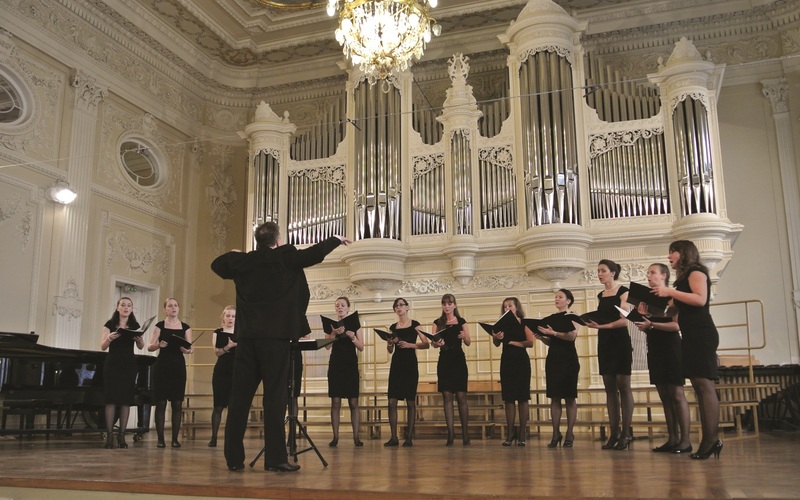 Within the six days of the Festival 20 concerts of choral music took place, one of which, according to an earlier established tradition, was held at the Cascade Centre in Peterhof. It is good to note that many other traditions, formed during previous festival, were also kept. 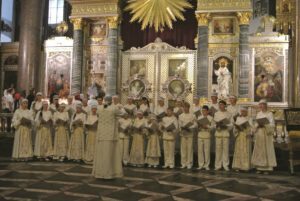 Consequently, on Saturday 4th August a concert entirely devoted to St. Petersburg composers was held, and on Wednesday 7th August a concert of works of Russian sacred music took place at the Kazan Cathedral. The ‘Singing World Festival’ is dedicated to Yury Falik, a Russian composer who is well-known here. All through his colourful creative life Yury Falik composed quantities of symphonic, instrumental, chamber and vocal music. However he could be described as the most often performed Russian composer of choral music. He left a tremendous artistic legacy: five volumes of a cappella music. 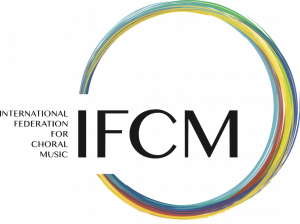 In keeping with tradition the international jury was presided by Prof. Valery Uspensky, Artistic Director of St. Petersburg’s Rimsky-Korsakov State Conservatoire Student Choir, head of the Choral Conducting Department of the same music institution and People’s Artist of Russia. The other members came from Slovakia, Latvia, Italy, Ukraine and Russia. The jury’s task was huge and very difficult because there were so many choirs and also because the level was quite high. It was not easy to chose the winners of the various categories. At the end the Grand Prix went to a French children’s choir, Capriccio, from Nevers, which also won also the prize awarded by the audience. For a complete list of all the prizes awarded, the official report can be downloaded from http://goo.gl/47LoY. 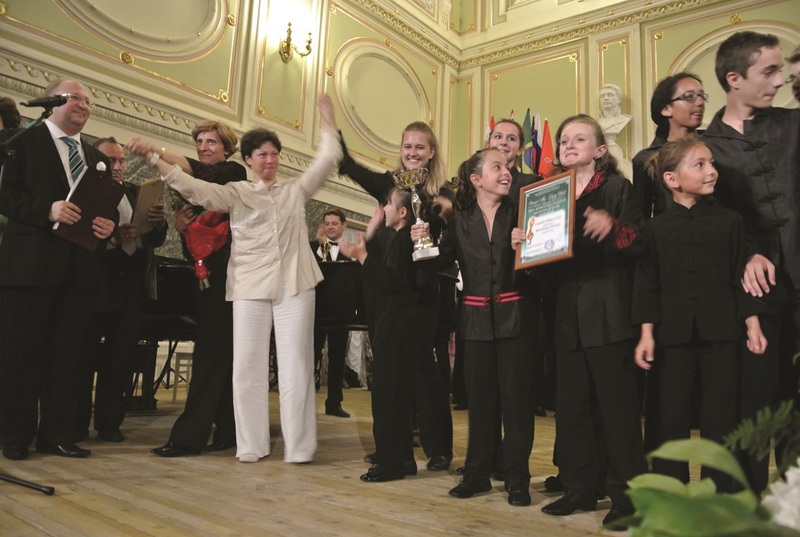 The final round, which saw the triumph of the Capriccio children’s choir, took place in one of the most beautiful music halls in St. Petersburg, the State Academic Capella. This is the oldest professional music institution in Russia. It has determined the activities, the establishment and the development of all Russian professional musical culture, and, for several centuries it has been the musical face of Russia. 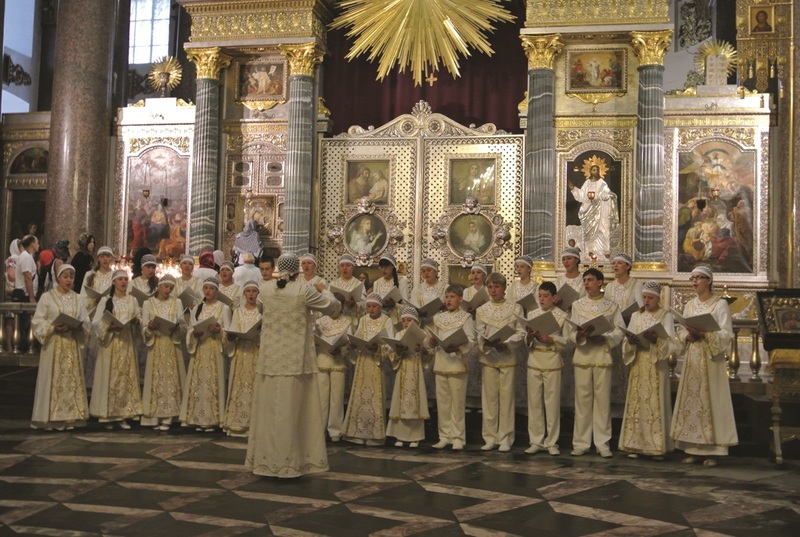 In 1701, in St. Petersburg, the court choir was established, and in 1763, the Imperial court chapel. In 1738, to meet the needs of the choir, a decree of Empress Anna Ioannovna provided for the founding of the first special music school. In 1882, the first Russian symphony orchestra was founded, called the Court Capella. After the 1917 revolution, the structure of the Capella was destroyed and classes were cancelled. The choir, the symphony orchestra and the music school were separated from one another, and one of the major music centres disappeared from the European musical map. Today, the country’s and St. Petersburg Governments have together begun the process of reviving the oldest music institution in Russia. On the last day the Neva was grey, like the sky… it did not seem at all like August, but in the hearts of all of us who attended the festival, all the memories of the warm atmosphere still remained, reminding us that the human voice is the most sophisticated and beautiful of all instruments.